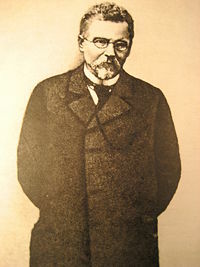 Bolesław Prus. Jubilee portrait by Antoni Kamieński, 1897. Bolesław Prus (pronounced: [bɔ'lεswaf 'prus]; August 20, 1847 – May 19, 1912), born Aleksander Głowacki, was a Polish journalist and novelist known especially for his novels, The Doll and Pharaoh. An indelible mark was left on Prus by his experiences as a 15-year-old soldier in the 1863 Uprising, in which he suffered severe battle contusions, followed by imprisonment at Lublin by Tsarist Russian authorities. At age 25, in Warsaw, he settled into a distinguished 40-year journalistic career that helped prepare his compatriots to be competitive in a modern world increasingly dominated by science and technology, as technological achievement became synonymous with both prosperity and self-mastery in the modern age. As a sideline, in an effort to appeal to Poles through their aesthetic sensibilities, he began writing short stories. Achieving success with the short stories, Prus decided to employ a broader canvas. 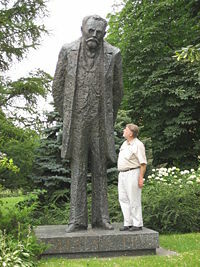 Between 1886 and 1895, he completed four major novels on great societal questions. Perennial favorites with his countrymen are The Doll (Lalka) and Pharaoh (Faraon). The Doll describes the romantic infatuation of a man of action who is frustrated by the backwardness of his society. Pharaoh, Prus' only historical novel, is a study of political power; and while reflecting the Polish national experience of the previous century, it also offers a unique vision of ancient Egypt at the fall of its 20th Dynasty and New Kingdom. Lublin Castle, where Prus was held after his capture in the January 1863 Uprising. A quarter-century after Bolesław Prus' death at age 64, writer and translator Tadeusz Boy-Żeleński observed: "Prus has no biography, he is one of the best-camouflaged of writers, for even his eyes are concealed, in portraits, by dark glasses." Today Prus' essential biography is still to be found in his nonfiction and fiction writings. Nevertheless, his life is marked by some prominent events. Born Aleksander Głowacki, Bolesław Prus fought in Poland's 1863 Uprising, the orphaned younger brother of an insurgent leader, Leon Głowacki. During the Uprising, Leon developed a mental illness that would end only with his death in 1907. On September 1, 1863, Prus, twelve days after his sixteenth birthday, suffered severe battle contusions and was captured by Tsarist Russian forces. 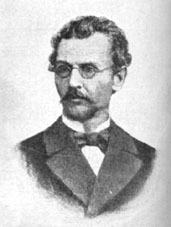 Eventually released on account of his youth, in 1866 he completed high school and enrolled in science at Warsaw University. 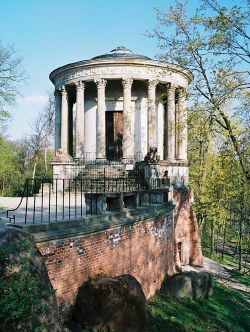 Temple of the Sibyl at Puławy, featured in Prus' "Mold of the Earth." His studies were cut short by financial constraints and dissatisfaction with the educational experience. 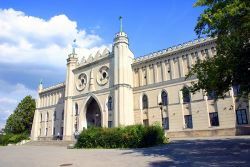 In 1869 he enrolled at the newly opened Agricultural and Forestry Institute in Puławy, in which town he had spent part of his childhood; he was, however, soon expelled after a classroom confrontation with a Russian professor. 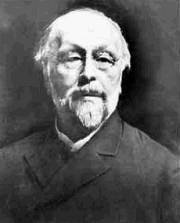 Henceforth he studied on his own while supporting himself as a tutor, factory worker, and from 1872 on as a journalist. Journalism would become his school of writing. In 1873 Prus delivered two public lectures whose subjects illustrate the breadth of his scientific interests: "On the Structure of the Universe," and "On Discoveries and Inventions." As a newspaper columnist, Prus commented on the achievements of scientists and scholars such as John Stuart Mill, Charles Darwin, Alexander Bain, Herbert Spencer and Henry Thomas Buckle; urged Poles to study science and technology and to develop industry and commerce; encouraged the establishment of charitable institutions to benefit the underprivileged; described the fiction and nonfiction works of fellow writers such as H.G. Wells; and extolled man-made and natural wonders such as the Wieliczka Salt Mine, Nałęczów, and an 1887 solar eclipse that he witnessed at Mława. His "Weekly Chronicles," spanning forty years (and since reprinted in twenty volumes), would help prepare the ground for the extraordinary 20th-century blossoming of Polish science and especially mathematics. 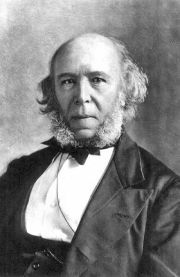 Of contemporaneous thinkers, the one who exerted the greatest influence on Prus and on other thinkers of the Polish "Positivist" period (roughly 1864–90) was Herbert Spencer, the British sociologist who coined the phrase, "survival of the fittest." Prus would call Spencer "the Aristotle of the 19th century" and would write: "I grew up under the influence of Spencerian evolutionary philosophy and heeded its counsels, not those of Idealist or Comtean [philosophy]." Prus interpreted "survival of the fittest," in the societal sphere, as involving not only competition but also cooperation; and he adopted Spencer's metaphor of society as an organism. After Prus began writing regular weekly newspaper columns, his finances stabilized, permitting him on January 14, 1875, to marry a distant cousin on his mother's side, Oktawia Trembińska. The couple never had children of their own. A foster son, Emil Trembiński, the model for Rascal in chapter 48 of Pharaoh, would in 1904 at age eighteen shoot himself dead on the doorstep of an unrequited love. Prus may have had a son in 1906 at age fifty-nine who would die in a German camp after the suppression of the 1944 Warsaw Uprising. 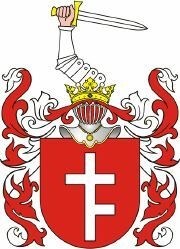 Prus I, Aleksander Głowacki's hereditary coat-of-arms, from which he borrowed the pen-name, "Bolesław Prus." An exponent of a Polish version of Auguste Comte's Positivist philosophy, Prus (although he was a talented writer at first best known for his humorist writing) early on thought little of his journalistic and literary productions. Hence at the inception of his journalistic career in 1872 at age 25 he had adopted the pen name "Prus" as "Prus I" was his family coat-of-arms. In 1882 he assumed the editorship of a Warsaw daily, resolving to make it "an observatory of societal facts," an instrument for fostering the development of his country, which between 1772 and 1795 had been partitioned out of political existence by three of its neighbors. After less than a year, however, Nowiny (News) folded and Prus resumed writing columns. In time he adopted the French sociological positivist Hippolyte Taine's concept of the arts, including literature, as a second means, alongside the sciences, of studying reality; and as a sideline he turned his hand to short stories. His stories, which met with great acclaim, owed much to the Polish novelist Józef Ignacy Kraszewski and, among foreign writers, to Charles Dickens and Mark Twain. His fiction would also be influenced by Victor Hugo, Gustave Flaubert, Alphonse Daudet and Émile Zola. Eventually Prus would compose four major novels on great questions of the day: The Outpost (1886) on the Polish peasant; The Doll (1889) on the aristocracy and townspeople and on idealists struggling to bring about social reforms; The New Woman (1893) on feminist concerns; and his only historical novel, Pharaoh (1895), on the mechanisms of political power. Having sold Pharaoh to a publisher, Prus on May 16, 1895, embarked on a four-month journey abroad. He visited Berlin, Dresden, Karlsbad, Nuremberg, Stuttgart and Rapperswil. At the latter Swiss town he nursed his agoraphobia and spent much time with his friends, the promising young writer Stefan Żeromski and his wife, who sought Prus' help for the Polish National Museum that was in Żeromski's charge. The final stage of Prus' journey took him to Paris, where he was prevented by his agoraphobia from crossing the Seine River to visit the city's southern Left Bank. He was nevertheless pleased to find that his descriptions of Paris in The Doll had been on the mark (he had based them mainly on French-language publications). From Paris he hurried home to recuperate at Nałęczów from his journey, the first and last that he would make abroad. Prus' last novel to meet with popular acclaim was Pharaoh, completed in 1895. Pharaoh, depicting the demise of Egypt's New Kingdom three thousand years earlier, had also reflected Poland's loss of independence a century before in 1795: an independence whose post-World War I restoration Prus would not live to see. In 1897-1999 Prus serialized in the Warsaw Daily Courier (Kurier Codzienny) a monograph on The Most General Life Ideals (Najogólniejsze ideały życiowe), which systematized ethical ideas that he had developed over his career regarding happiness, utility and perfection in the lives of individuals and societies. In it he returned to the society-organizing (i.e. political) interests that had been frustrated during his Nowiny editorship fifteen years earlier. A book edition appeared in 1901 (2nd, revised edition, 1905). This work, rooted in Jeremy Bentham's Utilitarian philosophy and Herbert Spencer's view of society-as-organism, retains interest especially for philosophers and social scientists. In 1908, Prus published in the Warsaw Illustrated Weekly (Tygodnik Ilustrowany) his novel, Children (Dzieci), describing the young revolutionaries, terrorists and anarchists of the period. Three years later a final novel, Changes (Przemiany), was to have been a panorama of the society and of its vital concerns, not unlike The Doll; but barely the beginnings had been serialized in the Illustrated Weekly in 1911-12 when the novel's composition was cut short by Prus' death. Neither of the two late novels is regarded as part of the essential Prus canon. On May 19, 1912, at his Warsaw apartment on ulica Wilcza (Wolf Street), Prus' forty-year journalistic and literary career ended with his death. Another of Prus' learned projects remained incomplete at his death. He had sought over his writing career to develop a coherent theory of literary composition. Intriguing extant notes from 1886-1912 were never put together into a finished book as intended. Particularly provocative fragments describe Prus' combinatorial calculations of the millions of potential "individual types" of human characters, given a stated number of "individual traits." There is a curious comparative-literature aspect to Prus' career, which shows striking parallels with that of his American contemporary, Ambrose Bierce (1842-1914). Each was born and reared in a rural area and had a "Polish" connection (Bierce grew up in Kosciusko County, Indiana, and attended high school at the county seat, Warsaw). Each became a war casualty with combat head trauma–Prus in 1863 in the Polish 1863-64 Uprising; Bierce in 1864 in the American Civil War. 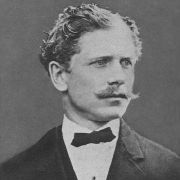 Each, at the age of twenty-five, after false starts in other occupations, became journalists for the next forty years; failed to sustain a career as editor-in-chief; attained celebrity as a short-story writer; lost a son in tragic circumstances (Prus, a foster son; Bierce, both his sons); achieved superb humorous effects by portraying human egoism (Prus especially in Pharaoh, Bierce in The Devil's Dictionary); was dogged from early adulthood by a health problem (Prus, agoraphobia; Bierce, asthma); and died within two years of the other (Prus in 1912; Bierce presumably in 1914). Prus, however, unlike Bierce, went on from short stories to write novels. Following his death the beloved agoraphobic author was mourned by the nation that he had striven, as soldier, thinker and writer, to rescue from oblivion. 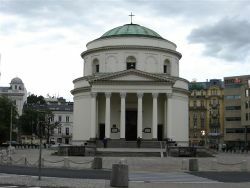 Thousands attended his May 22, 1912, funeral service at St. Alexander's Church on nearby Triple Cross Square (Plac Trzech Krzyży) and his interment at Powązki Cemetery. His tomb, designed by a relative, sculptor Stanisław Jackowski, bears the novelist's pen name, Bolesław Prus, and a slightly mawkish inscription borrowed from Gabriele d'Annunzio: "Heart of hearts" ("Serce serc"). It has been observed that, while Prus espoused a Positivist and Realist outlook, much in his fiction shows qualities compatible with pre-1863-Uprising Polish Romantic literature. Indeed, he held the Polish Romantic poet Adam Mickiewicz in high regard. Prus' novels in turn, especially The Doll and Pharaoh, with their innovative composition techniques, blazed the way for the twentieth-century Polish novel. The Doll and Pharaoh, which made Prus a potential candidate for the Nobel Prize in literature, are available in good English versions. The Doll has been translated into sixteen languages, and Pharaoh into twenty. In addition, The Doll has been filmed several times and been produced as a late-1970s television miniseries, while Pharaoh was adapted into a 1966 feature film. Ongoing interest in Prus and his works has produced commemorations spanning several generations. In his lifetime, educational and philanthropic organizations were named for him. In 1897, on his 50th birthday and in celebration of his 25 years as a journalist and writer, special newspaper issues marked the jubilee, and a portrait was commissioned from Antoni Kamieński which succeeded to a remarkable degree in capturing Prus' wisdom, modesty and generosity. Half a century after his death, on December 3, 1961, a museum devoted to Prus was opened in the eighteenth-century Małachowski Palace at Nałęczów, near Lublin. 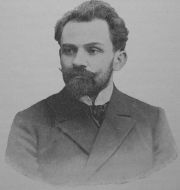 It was at Nałęczów that Prus had vacationed for thirty years from 1882 until his death, and that he had met the young Żeromski; Prus had served as witness at Żeromski's 1892 wedding and had helped foster the younger man's writing career. There is a statue of Prus in his town of birth, Hrubieszów, near the present Polish-Ukrainian border. Ulica Bolesława Prusa (Bolesław Prus Street) opens into the southeast corner of Warsaw's Triple Cross Square, not far from the site of Prus' last apartment on ulica Wilcza. From 1975 to 1984, a 10-złoty coin was minted, bearing a profile likeness of Prus. In the late 1970s, a statue of Prus by Anna Kamińska-Łapińska, some twelve feet tall, on a minimal pedestal, was erected on Warsaw's Krakowskie Przedmieście. It stands in a garden adjacent to the Hotel Bristol, near the site of a newspaper for which Prus had written. ↑ Edward Pieścikowski, Bolesław Prus, p. 5. ↑ Krystyna Tokarzówna and Stanisław Fita, Bolesław Prus, 1847–1912, pp. 45-46. The contusions may have caused his subsequent lifelong agoraphobia: Stanisław Fita, ed., Wspomnienia o Bolesławie Prusie, p. 113, note 7. ↑ Edward Pieścikowski, Bolesław Prus, p. 148. ↑ Zygmunt Szweykowski, Twórczość Bolesława Prusa, pp. 18-23, 31-32, 293-94 and passim. ↑ Christopher Kasparek, "A Futurological Note: Prus on H.G. Wells and the Year 2000," The Polish Review, 2003, no. 1. ↑ Christopher Kasparek, "Prus' Pharaoh and the Wieliczka Salt Mine," The Polish Review, 1997, no. 3. ↑ Christopher Kasparek, "Prus' Pharaoh and the Solar Eclipse," The Polish Review, 1997, no. 4. ↑ Zygmunt Szweykowski, Twórczość Bolesława Prusa, pp. 21–22. ↑ Krystyna Tokarzówna and Stanisław Fita, p. 604. ↑ Gabriela Pauszer-Klonowska, Ostatnia miłość w życiu Bolesława Prusa. ↑ Zygmunt Szweykowski, Twórczość Bolesława Prusa, p. 109. ↑ Czesław Miłosz, The History of Polish Literature, p. 293. ↑ Zygmunt Szweykowski, Twórczość Bolesława Prusa, pp. 66, 84, 122 and passim. ↑ Edward Pieścikowski, Bolesław Prus, p. 157. ↑ Oral account by Prus' widow, Oktawia Głowacka, cited by Tadeusz Hiż, "Godzina u pani Oktawii" ("An Hour at Oktawia [Głowacka]'s"), in Stanisław Fita, ed., Wspomnienia o Bolesławie Prusie, p. 278. ↑ Edward Pieścikowski, Bolesław Prus, pp. 157-58. ↑ Zygmunt Szweykowski, Twórczość Bolesława Prusa, pp. 295-97 and passim. ↑ Edward Pieścikowski, Bolesław Prus, pp. 142-43, 165-67. ↑ Stefan Melkowski, Poglądy estetyczne i działalność krytycznoliteracka Bolesława Prusa, chap. III, pp. 84-146. ↑ Christopher Kasparek, introduction to "Two Micro-stories by Bolesław Prus," The Polish Review, 1995, no. 1, p. 99. ↑ Zbigniew Wróblewski, To samo ramię. ↑ Edward Pieścikowski, Bolesław Prus, pp. 140-41. ↑ Zygmunt Szweykowski, Twórczość Bolesława Prusa, pp. 111-12. ↑ Czesław Miłosz, The History of Polish Literature, p. 296. ↑ Zdzisław Najder, Conrad under Familial Eyes, p. 215. ↑ Christopher Kasparek, "Prus' Pharaoh and Curtin's Translation," The Polish Review 2-3 (1986): 128. ↑ Bolesław Prus, The Doll, translation by David Welsh, revised by Dariusz Tołczyk and Anna Zaranko, 1996; Pharaoh, translated from the Polish by Christopher Kasparek, 2nd ed., 2001. ↑ Edward Pieścikowski, Bolesław Prus, pp. 94-95, 159 and passim. ↑ Edward Pieścikowski, Bolesław Prus, pp. 144-45. Kasparek, Christopher. "Prus' Pharaoh and Curtin's Translation," The Polish Review 2-3 (1986): 127-135. Kasparek, Christopher. Introduction to "Two Micro-stories by Bolesław Prus," The Polish Review 9 (1995): 99-103. Kasparek, Christopher. "Prus' Pharaoh and the Wieliczka Salt Mine," The Polish Review 3 (1997): 349-355. Kasparek, Christopher. "Prus' Pharaoh and the Solar Eclipse," The Polish Review 4 (1997): 471-478. This page was last modified on 21 June 2016, at 22:32.